Factory Buys Direct is happy to introduce the New line of Avenger Brand Infra-red Space Heaters. The New Avenger series not only incorporates a new slimmer cabinet design but also features the latest advancement in Vent Free Infra-red burner design. 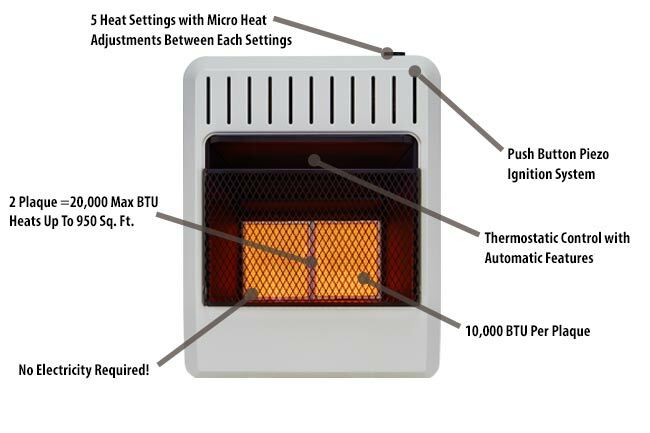 This NEW Advancement allows the Avenger Series to provide more heat per Ceramic Plaque when incorporated with the patented dual fuel burner technology. No electricity is required which is perfect for power outages or any in-house urgencies. Includes many exclusive features such as the 5 heat settings, the automatic thermostat control, and many more. Truly a leap forward in Vent Free Infra-red heating!